Abemaciclib, Ribociclib, or Palbociclib for HR+ Metastatic Breast Cancer? 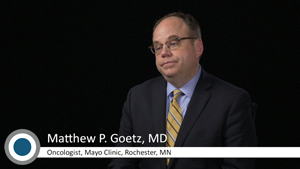 Dr Matthew Goetz reviews what differentiates abemaciclib, the latest CDK4/6 inhibitor FDA-approved for HR+ metastatic breast cancer, from ribociclib and palbociclib. Dr Hope Rugo discusses studies that are aiming to evaluate the effect that CDK4/6 inhibitors have on patients with HER2+ breast cancer. 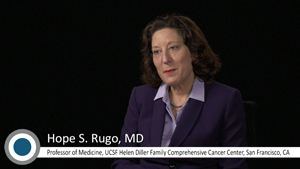 Hope S. Rugo, MD, describes how she would treat a patient with HER-positive metastatic breast cancer that has progressed with a CDK4/CDK6 inhibitor plus an aromatase inhibitor. 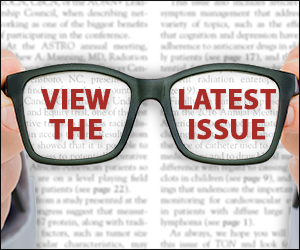 Dr Hope Rugo addresses some of the main differences between the 3 CDK4/6 inhibitors that are FDA-approved in HR-positive metastatic breast cancer. Dr Hope Rugo cites that CDK4/6 inhibitors play a critical role in estrogen signaling and can be very effective in treating metastatic breast cancer when used in combination with hormone therapy. 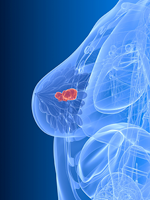 OlympiAD provides proof of principle that breast cancers with defects in a specific DNA damage repair pathway are sensitive to a targeted therapy designed to exploit that defect, said Dr Robson.